Hawker Fare: Stories & Recipes from a Refugee Chef’s Isan Thai & Lao Roots. I really enjoy the book thus far and it gets into Northern Thai/Isan style cooking which I really enjoy. Laap (larb, lap, etc) is one of my favorite dishes of Northern Thailand and some of the book focuses on that. While I began thinking more about laap and began to get hungry, I thought about making a batch, but a different style of laap for my daughter. You can make all types of laap, whether it be chicken, beef (raw or cooked), fish, or pork, but one I haven’t made was more veggie focused, and as my daughter loves mushrooms, I decided to go with just that; a mushroom laap. 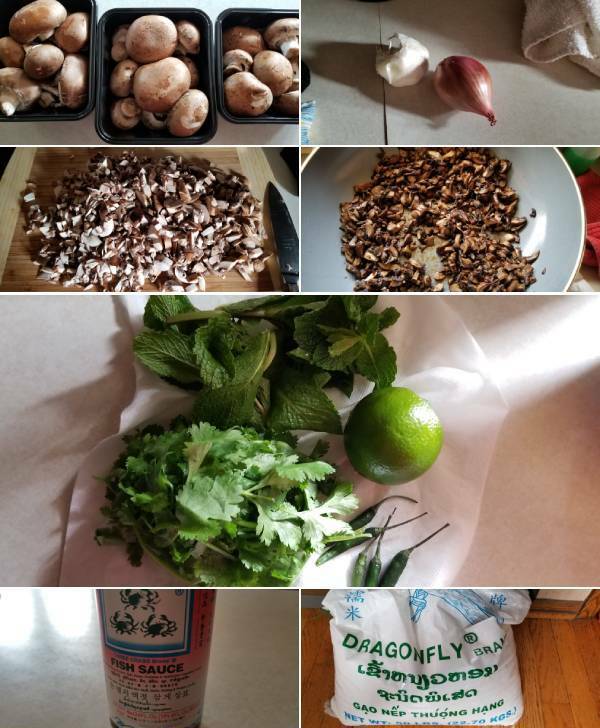 This mushroom laap recipe is much like most other laap I have made, with similar ingredients, but the importance of this one is getting the moisture out of the mushrooms but regardless so easy to make. Start by heating a very large skillet on medium-high heat. Add in the oil and swirl it around. Next, add in the mushrooms and level them out so they try to lay flat. No big deal if they overlap. Your goal here is to let them be. Let them cook for about 5 minutes, untouched so that they begin to caramelize. After 5 minutes, reduce the heat just a bit and then give them a good stir. Continue to cook for another 5 minutes, untouched again. Once the mushrooms have caramelized, toss in the shallots, Thai chilies, and garlic. If you cannot handle spicy food then reduce the amount of Thai chilies. Give a good mix, and after a minute toss in the fish sauce and sugar. Cook another minute, then pour into a mixing bowl. Add the fresh herbs, lime juice, and toasted sticky rice. Stir, taste, and season with any salt or lime juice. Plate and serve with fresh, warm sticky rice. 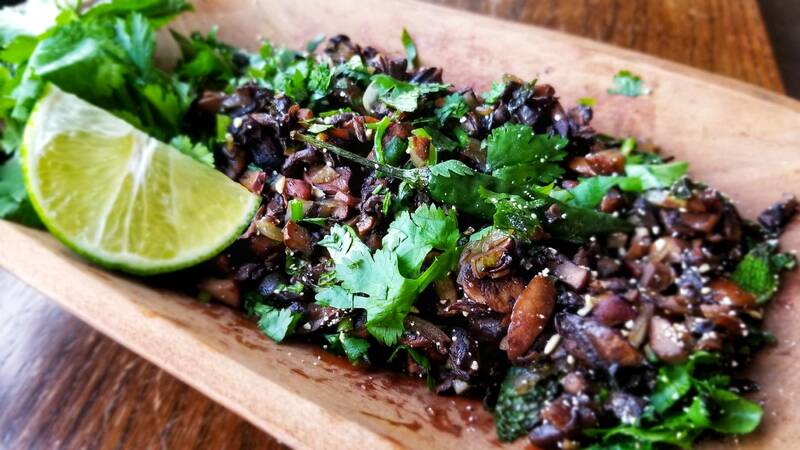 The mushroom laap turned out great and it was an awesome alternative to an already awesome minced meat salad. Give this one a shot if you are looking to change things up with your laap. Enjoy!